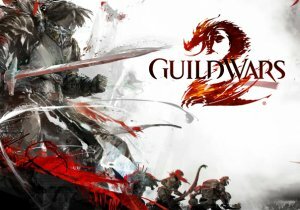 Today ArenaNet delighted Guild Wars 2 fans everywhere as they unveiled the first of nine elite specializations coming to Guild Wars 2: Heart of Thorns™. Fans have been eagerly anticipating what elite specializations will come to their preferred professions. ArenaNet has now begun what will be a serial reveal for each specialization complete with a video trailer, game play details and first looks in-game, starting with the first three coming over the next few weeks. The Chronomancer is the first elite specialization to be revealed, exclusively for the Mesmer profession. This new combat specialization boasts unique skills, resources and time-reversal mechanics which are set to add new layers of strategic depth to both PvE and PvP content. It was a unique challenge to find an interpretation of time magic that fit within the lore of Tyria while also providing engaging gameplay hooks. Just as the mesmer is a unique take on a spellcasting class, our chronomancer does much more than distribute speed to allies while slowing down enemies. This specialization also gives players the ability to stop and even revert time through use of their abilities.